Unbelievable sound for your LE! 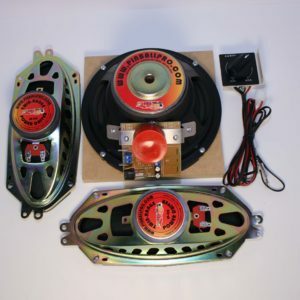 NEW and incredible, upgrade your Stern AC/DC LE or Premium for rockin’ sound. 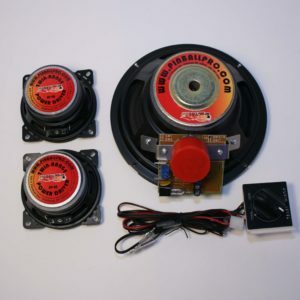 The SWTR-5LE kit provides a new wiring network and crossover for your existing 12″ Woofer. 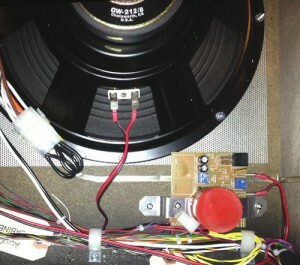 The stock woofer is capable enough, just not wired in a way that delivers maximum punch. The special design of the woofer network routes the low frequencies to the woofer which extends bass reproduction to 32 Hz. for unbelievable sound. The SWTR-5LE kit includes new 4-inch 8-Ohm backbox speakers and a stereo volume control for the back box speaker levels that provides for greater bass output from the stock woofer. 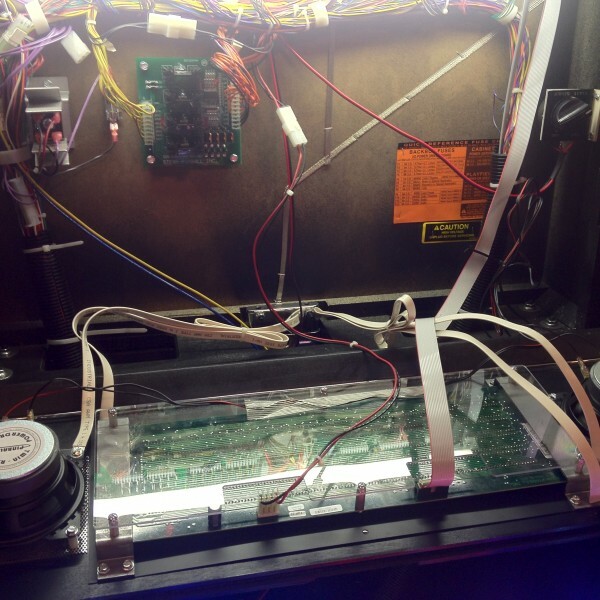 No permanent modification is required to the pinball machine. 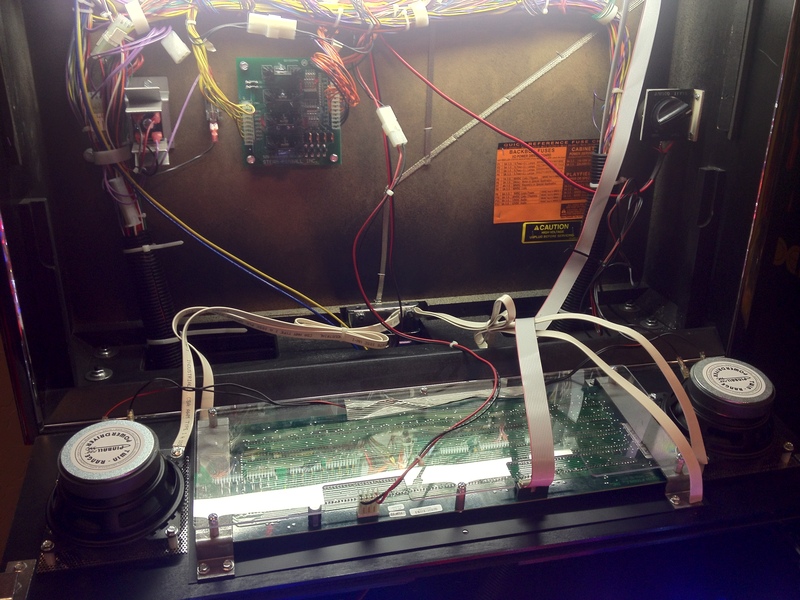 Our backbox speaker will not lose sound quality or overload the games audio amplifier like other kits can. The 8-Ohm speakers wired in parallel match up with our 4-Ohm L-Pad control for the perfect solution. The amplifier sees a constant load over the volume range and the L-Pad drops completely out at full volume. 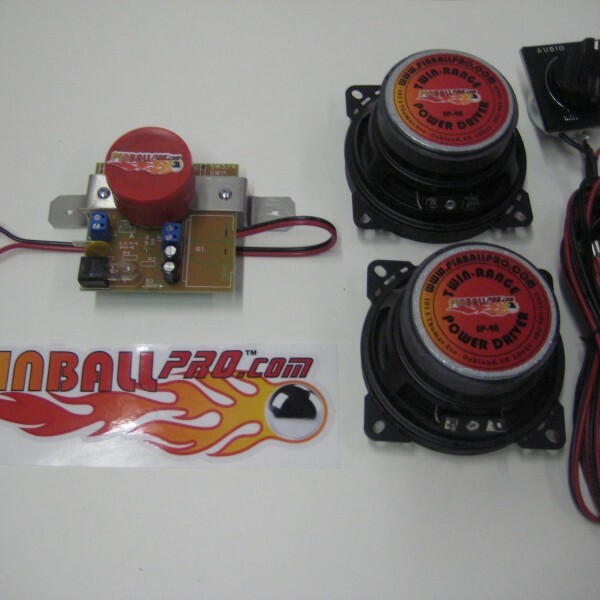 Kits using 4-Ohm automotive speakers can cause overload to the amplifier if run in parallel (2-Ohms) or lose 2db of high frequency sound if run in series. Go to www.pinballspeakers.com for an informative and interesting presentation on backbox speaker testing. 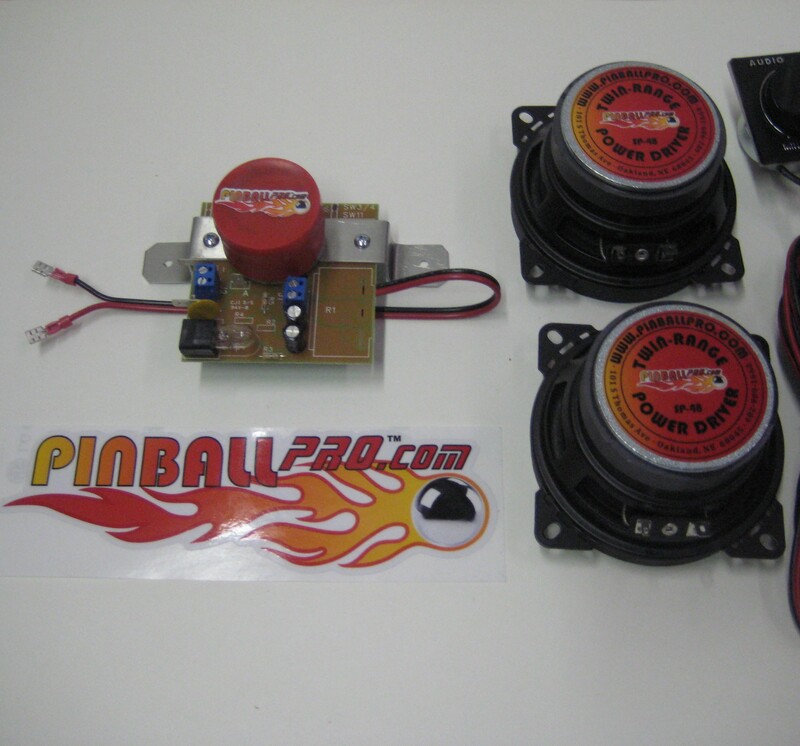 Don’t risk damage to your sound card with kits using 4-Ohm speakers. 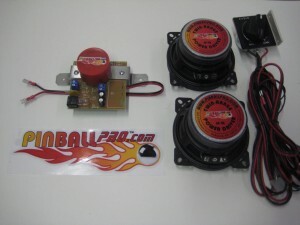 Note: This kit does not change the subwoofer, nor does it “add” more power to your game. It simply adds more control and superior sound.